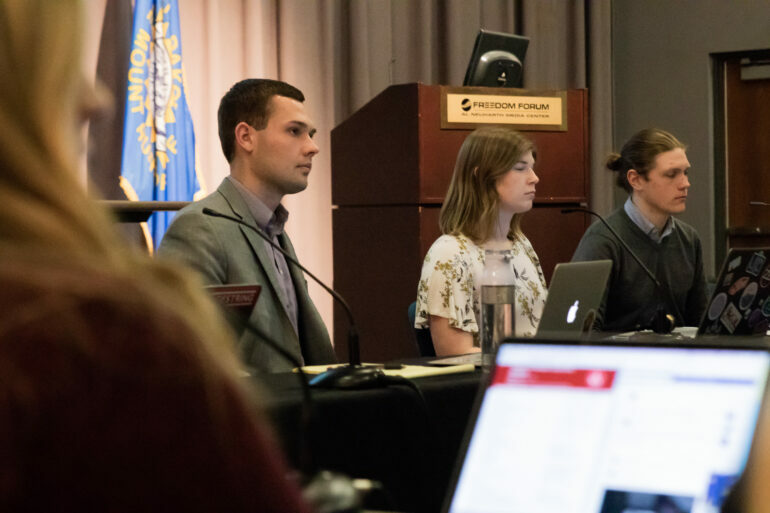 Newly elected Student Government Association (SGA) president Carson Zubke and vice president Hannah Booth led their first meeting as the executive team last night. The meeting began with a discussion about effective communication from guest speaker Layani Makwinja a graduate student from the office of diversity. Makwinja’s presentation was intended to teach people how to communicate properly and professionally. “When you talk about leadership, there are a number of great leaders who were great at communication because their messages are still important to society today,” Makwinja said. Written communication has become more important for students since email and text conversations have become increasingly popular. “If you communicate in a way that is threatening especially through email, or a way that is unclear you will not get your job done,” she said. Multiple student organizations attended the meeting to give updates on their organizations; these included SERVE, Pre-PA and the health science club, Spectrum, Poetry club, the Latino-Hispanic organization and others. The SGA at-large mock session will be held this weekend, and they will be swearing in new senators at the meeting next week. “Senator Halverson and I have been preparing for the at-large process and have been receiving lots of applicants, and we keep encouraging people to apply,” Booth said. Senator Amber Hulse is the resolution sponsor for an SGA bill that would provide free feminine products in the Muenster University Center bathrooms, or at the very least, provide a dispenser for feminine products in the MUC bathrooms. To purchase feminine products in the Muenster University Center, products must be purchased in the P.O.D. or in the bookstore. Organizations who are hoping to petition for a large organization status can come to the SGA meeting next week. Molly Sperlich is a sophomore at the University of South Dakota double-majoring in Media & Journalism and English. She is the Sports Presentation Editor. Molly also works as the Digital Editor for Coyote News.